Augmented reality is about to go mainstream – and you’re already holding the capable device in your techy-savvy hands. Forget QR codes and the dog filter, Facebook’s dedication to AR will change the way people interact with the world by adding a digital layer to everyday life – no matter what is the camera’s frame. While Spectacles by Snap and Google Glass made a convincing case for wearable tech as the future of AR, Facebook has – in true Facebook style – beat them to the masses. By removing barriers to wearable tech – mainly the price and aesthetic – Facebook gives users these coveted immersive experiences with just the camera on their smartphone. When connected to the Facebook app, users can merge their real-world reality with virtual reality, and with over 2 billion active monthly users worldwide, it’s fair to say Facebook has ensured AR is well and truly here. Launched in April, Facebook’s Camera Effects Platform consists of the Frames Studio and AR Studio. Each inviting developers to test their coding skills to create – once they are approved – virtual experiences that come to life. According to Facebook, the platform is intended to “give the Facebook community the power to create a full spectrum of camera effects, from simple frames to interactive AR experiences”. While Snapchat’s filters have been the flower-crowned, dog-tongued face of AR to the masses, Facebook has put its foot on the accelerator by open sourcing its own platform. Facebook founder Mark Zuckerberg told Tech Crunch how he pulled the rug out from Snapchat’s feet by making the platform open to all developers. “Zuckerberg tells me: ‘The first augmented reality platform that becomes mainstream isn’t going to be glasses, it’s going to be cameras.’,” wrote Tech Crunch’s Josh Constine. Facebook’s AR allows developers to use precise location, object recognition and depth detection to create their effects, says Constine. Once approved, AR Studio-developed effects will be available with Facebook Live broadcasts or over third party data. Eventually all brands and business will be able to pay for customised editions. As part of its tests, AR has already been used for Electronic Arts’ Mass Effect: Andromeda, GIPHY and Manchester United, among others. So, Facebook’s harnessing of the smartphone camera has blown the social media market wide open, taking yet more market share from Snapchat. But what does this mean for social media marketers? At Mosh, we can’t help but think of the 50 million-plus businesses on Facebook who now have these groundbreaking, entertaining new tools to connect with the billions of consumers also using the platform. Sure, funny masks and little animated tricks might seem trivial at the moment, but if we trust Zuckerberg – and let’s face it, we probably should – the technology will quickly develop to more functional forms applicable to industries outside of entertainment and gaming. 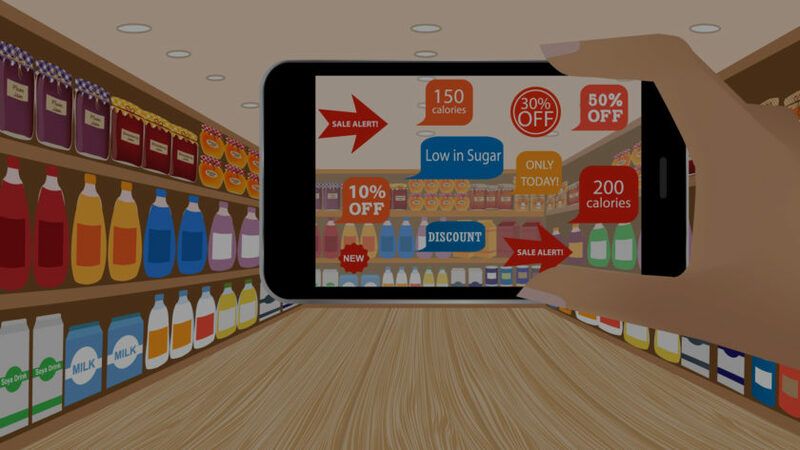 Augmented Reality (AR): Technology that lays computer-generated images over a user’s view of the real world. Facebook Camera Effects Platform: An open source platform for developers to bring virtual experiences to life via smartphones using Facebook camera. It consists of the Frame Studio and AR Studio. Frame Studio: For creating interactive, personalised frames for photos and video e.g. for sports teams or events. Face Tracker: A real-time computer vision algorithm that tracks the face and allows the creator to make masks that fit and respond to facial movements without writing a line of code. Sensor data: Allows developers to create effects where people can move their phone to pan around a virtual world. Scripting APIs: Allows developers to access and download data, respond to user interactions, and modify the effect in real time. Previous PostTeens and screens: A fatal mix?Next PostAre you using the “dad dancing” of the internet?